Flexibility and motional dynamics in biological macromolecules give rise to conformational and structural heterogeneity. Quantification of the level of heterogeneity is essential for providing deeper understanding of molecular mechanisms in biology. Fluorescence lifetime distribution generated by the Maximum Entropy Method (MEM) provides an unbiased estimate of structural heterogeneity. This chapter discusses several examples where MEM-generated lifetime distribution brings out site-specific conformational and structural heterogeneity in proteins and membranes. Use of the information on heterogeneity in revealing molecular mechanisms is also discussed. The authors thank Profs. Jayant Udgaonkar, Deepak Dhar, Amitabha Chattopadhyay, N. Periasamy, and Samir Maji and Drs. G.S. Lakshmikanth, K. Sridevi, Megha Kishore, Santosh Jha, Samsuzzoha Mondal, Shruti Sahay, Sourav Haldar, Soumi Mukherjee and Hirak Chakravorty for their collaboration in the research work described here. 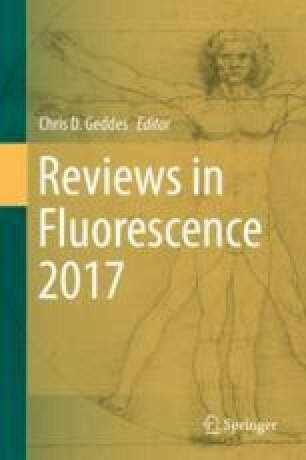 Prof. N. Periasamy is thanked for providing the software used in the analysis of time-domain fluorescence data, and for his advice in using it effectively.